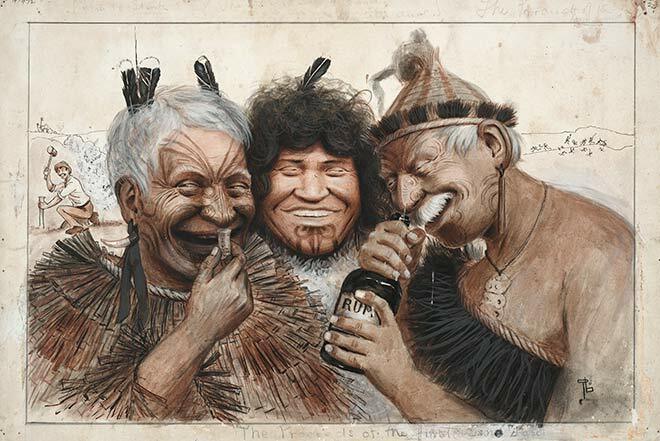 This Trevor Lloyd cartoon from the 1910s depicts three Māori who have spent the proceeds of a land sale on alcohol. Lloyd tended to portray Māori as ignorant and primitive figures of fun. Negative, racist portrayals of Māori were common in 19th- and early-20th-century cartooning.